I’m an avid book collector. I love to cultivate and search for books that suit my particular quirks. Nothing’s better than flipping through the pages of a new book that sparks your interest. The book I’m about to review today was able to accomplish this. I thoroughly enjoyed reading this book, accompanied by some red wine, on a sunny afternoon. I especially enjoyed the emphasis the authors placed on the significance of corporate culture. The importance of culture is not to be underestimated and Mackey and Sisodia do an excellent job at making it the front and center topic of this book. I think that’s worth a round of applause. But let’s face it, people already know that having a strong corporate culture is important. What they’re telling us isn’t revolutionary or even particularly new. And though this may be true, Mackey and Sisodia go beyond just telling the reader that corporate culture is important. Instead, they use real life case studies, drawing from both successes and failures, to relay their message. In fact, they go one step further by not only providing excellent case studies, but by also sharing some best practices. Words of wisdom included insight on topics relating to the harm in fear and the opportunity in creative thinking. Beyond their focus on corporate culture, Mackey and Sisodia also focus attention on the concept of scaling up successful innovation. They eloquently argue that scaling up social and environmental impact not only helps companies meet their goals, but also pressures industry competitors to comply to newly set standards. Industry-wide cooperation is what’s really going to help create that tipping point of impact that’s necessary for our world. Mackey and Sisodia do a great job at reemphasizing this point. With Mackey’s experience on the frontlines of corporate good, the authors had the unique opportunity to touch upon some hot topics and controversial “grey areas.” For instance, they spoke about the harsh realities of being a responsible company while simultaneously catering to consumer needs. They again, drew on past personal experiences and gave sound advice and best practices for those who may find themselves in similar situations. From a marketing perspective, I was quite fascinated, and dare I say a little taken aback, by the authors’ disdain for certain industry-standard terminology. Phrases such as “corporate social responsibility,” “creative capitalism” and even “triple bottom line” seemed to be on their most-hated list. Though I believe that the critique and analysis of the terminology we use is a necessary component of growing, evolving and encouraging innovation, I found their critique to be a bit too negative. Their definitions for such phrases seemed to be highly skewed, with the term “conscious capitalism” being left as the only viable option for the authors. How convenient is it that their book (and Sisodia’s consulting firm) should have the same name? 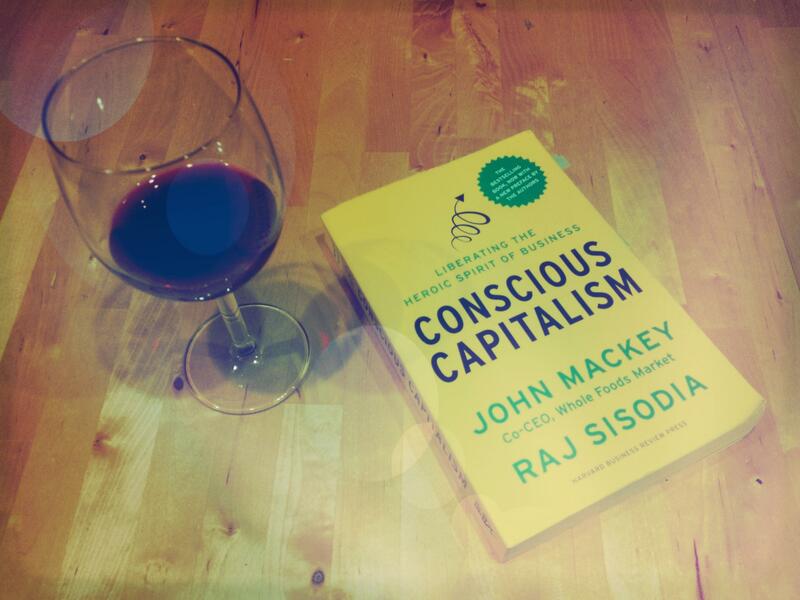 Apart from their terminology bashing, Mackey and Sisodia do an excellent job drawing on several different aspects of effective corporate good, CSR and conscious capitalism. They have a knack for motivating the reader to truly embrace a new mode of operating. They don’t inspire based on fear or urgency, but rather on the basis of opportunity, growth and fulfillment. They skip the guilt trip and add a hint of motivation instead. It’s very refreshing. If you’re looking for a good read that keeps you engaged with interesting case studies, content and opinions, then this book is surely for you. If you’ve also read Mackey and Sisodia’s book, I welcome you to add your own thoughts and mini-reviews in the comments section below. And be sure to follow me on Twitter for regular tweets about all-things relating to effective corporate good @CSRtist. 271 pages. Harvard Business Review. $18.